A handy camping gadget, these LED tent pegs each feature a white LED light to keep your tent pegs and guy ropes illuminated at night. 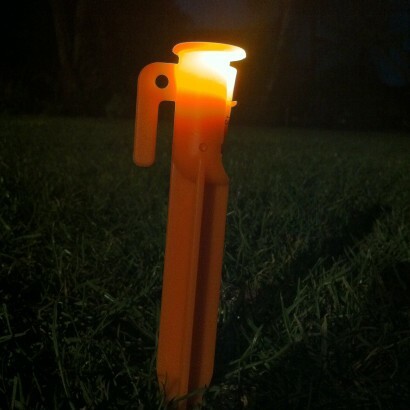 Coloured orange for visibility during the daytime, these LED tent pegs feature a handle containing the LED so you can direct the light into the area that you would like to illuminate. 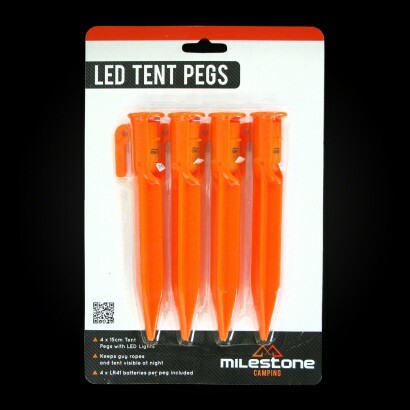 Perfect for busy campsites, these LED tent pegs will not only highlight trip hazards in the dark, but will also direct you to your tent at night!